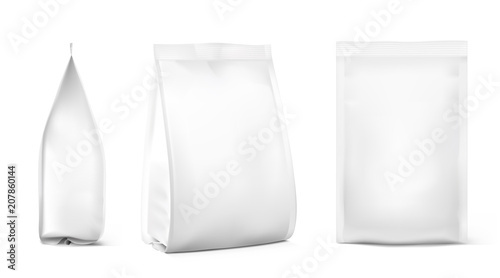 Realistic food bags isolated on white background. Front, isometric and side view. Vector illustration. Can be use for template your design, presentation, promo, ad. EPS 10.